The holidays are a time to celebrate a years worth of joy with great gifts, being thankful for great health is second to none. Every year we take a few visits to the doctor, and at times more often during fall and winter. These visits are sometimes taken as a frequent causal check-up, and we pay very little attention to the impact doctors have in our life’s. Our busy schedules over look the importance that doctors have played a key role in our health over the years. Many pediatricians take pride in seeing their young patients grow, they have seen them crawl, walk, run and cry in the presence of needles. Most if not many pediatricians tend to children from a few months old to young adults, they personalize their approach to the individual personalities of his patients to make the experience more enjoyable, but also to create an environment were patients can confide in their doctors. Thank you’s from patients don’t go unnoticed by doctors;however, personalized gifts for doctors are a great way of expressing a sincere appreciation. It doesn’t have to be an expensive gift or anything lucrative to express your appreciation. 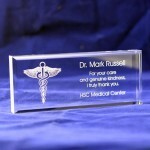 A personalized touch with his name or message is the important part in the personalized gift. A few great and simple gifts are personalized pens for doctors, it’s a tool they use every day to write down prescriptions and notes. It’s also an item they can never have enough of, pens are sometimes forgotten at home, so it’s always great for them when they have a few spare ones at work. 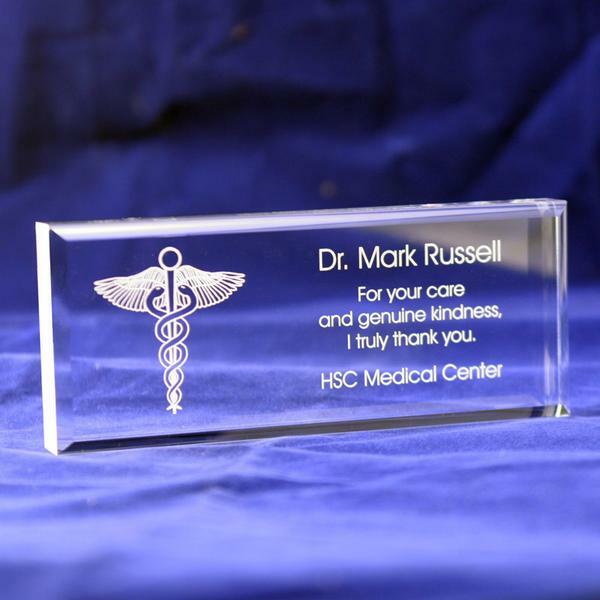 The other benefit of this great gift is that it doesn’t take much space for you to bring in, and it doesn’t occupy to much of the doctors desk space too. 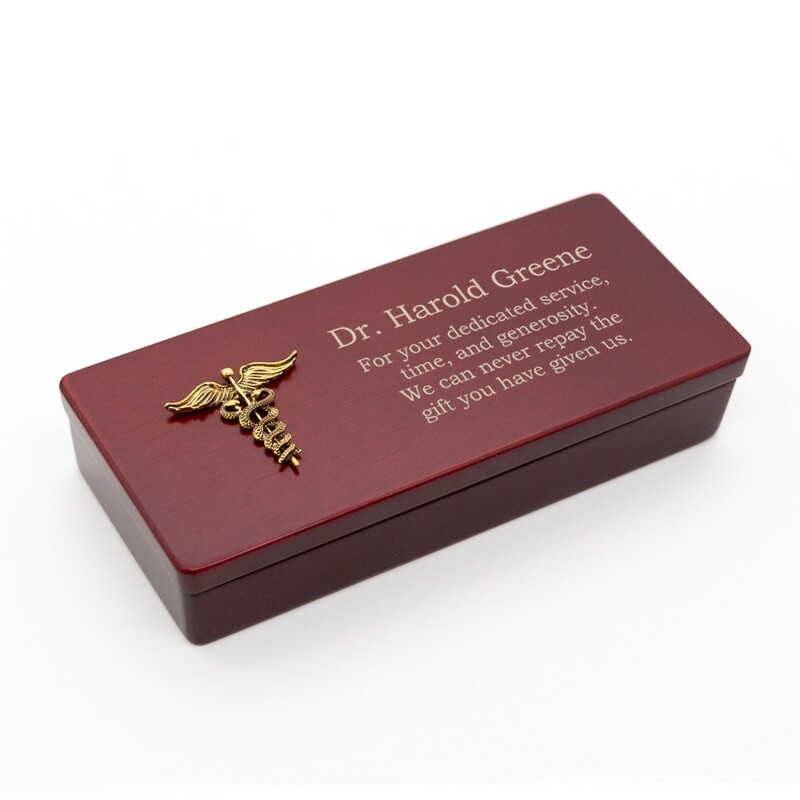 Small gifts are the best option when considering a gift for a doctor, it can’t be anything to big that he will not be able to take home or keep in the office. Small personalized keepsakes are great items that can be personalized with a special message, which can be displayed on their desk or book shelf. They are nice and simple, and are affordable for everyone. The next time you see your doctor for your flu shot or check up think about how important he’s been in your life. It’s the thought that counts, so make it special with a personalized gift, they will cherish it this holiday season. If you need any help with holiday gift ideas this season feel free to tag us in your Facebook post or on our wall, we can also be found on twitter, will get back to you with an answer and link within 24 hours.